, and that remains true when the snow flies. Our forest trails offer a world of winter adventure. Boulder Junction is an ideal silent sports getaway spot—we have a perfect mix of trails and Northwoods beauty, as well as the amenities you need, including snowshoe and cross-country ski rentals and lodging properties with easy access to the trails. Where can you find trails in Boulder Junction? You can find trails right in Boulder Junction. A good trail for families or people wanting an easier experience can be found at Boulder Junction Winter Park. There’s a relatively flat mile-long loop that offers some nice scenery. 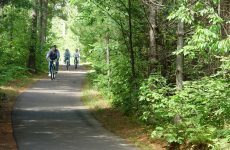 Nearby, the Lumberjack Trail offers miles more to explore. 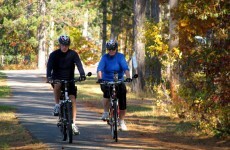 Or take in the scenery on the North Trout Lake Trail. Find more information on snowshoeing and skiing here. Where can you rent skis and snowshoes? Coontail, located in the heart of Boulder Junction, rents cross-country skis, snowshoes and fat bikes and you can do a half-day rental, a full-day rental, a 3-day rental or a weekly rental. Hit the trails in the morning or take the equipment back to your cabin for the week! I’ve never been snowshoeing or cross-country skiing before. Is it difficult? Snowshoeing and cross-country skiing might be easier than you think. Our gentle winter trails are perfect places to practice, and most people quickly find themselves making snowshoe tracks through our beautiful forests! Here are a few tips to get you started. Why should I explore Boulder Junction’s trails? Our trails are a ticket to experiencing our outdoor beauty. You can cover a lot of ground on snowshoes or cross-country skis and take in the beauty of snow-covered forests, frozen streams and frosted lakeshores. Back in town, enjoy our festive, charming downtown and take in the holiday lights and shopping before heading off again into the beautiful wild. Are there any silent sports events coming up? Boulder Junction is a premier Northwoods silent sports destination, and that remains true when the snow flies. Our forest trails offer a world of winter adventure. 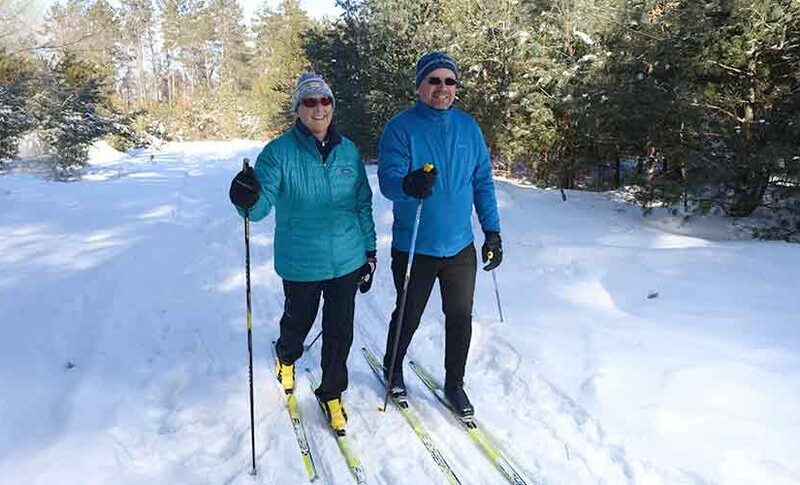 Boulder Junction is an ideal silent sports getaway spot—we have a perfect mix of trails and Northwoods beauty, as well as the amenities you need, including snowshoe and cross-country ski rentals and lodging properties with easy access to the trails. Mark your calendars: the inaugural Forest Frenzy Winter Triathlon—the first outdoor winter triathlon in the state—takes place on February 17, 2018. The event consists of an 8.5K cross-country ski course, a 6K snowshoe loop and an 8.5K fat bike course. This is a challenging wilderness endurance event with some tight turns and narrow areas. Learn more and register today!